This is a 700c hybrid tyre that offers maximum puncture protection and the added safety of increased reflectivity when riding at night. 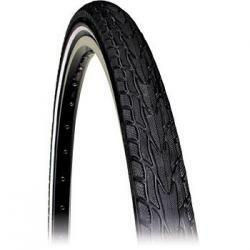 It has a full tread pattern for maximum all round grip in both wet and dry conditions. It also has a Tourguard Aramid fibre belt placed underneath tread to improve puncture resistance without sacrificing weight or tyre performance.